Butter the outside and inside of split top rolls and grill them in a pan over medium heat on all sides and inside until lightly browned. Wow! They definitely aren't that cheap here, lucky you! I was just looking around at all your photos. You have a great eye for the camera and I'm green with envy! Thanks Pam :) That's really nice of you to say. The photography has become a wonderful hobby and some picts are better than others for sure! 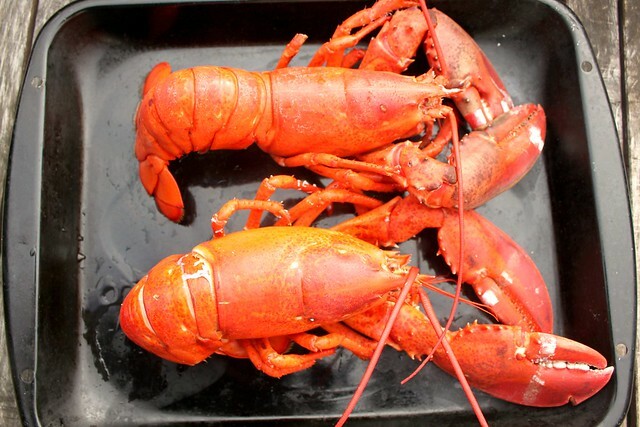 As for the lobsters...I know we get lucky here sometimes, they can go as low as $4.99lb! Wow fab price, they look delicious! Being in land locked Colorado I've never had a lobster roll. Shameful, I know. These look delicious! 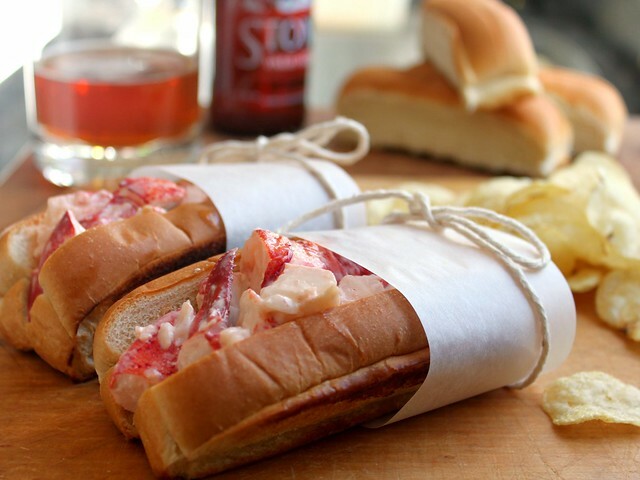 One of these lobster rolls would do me really well right about now. They look very delicious and That's good you got them at such a reasonable price. 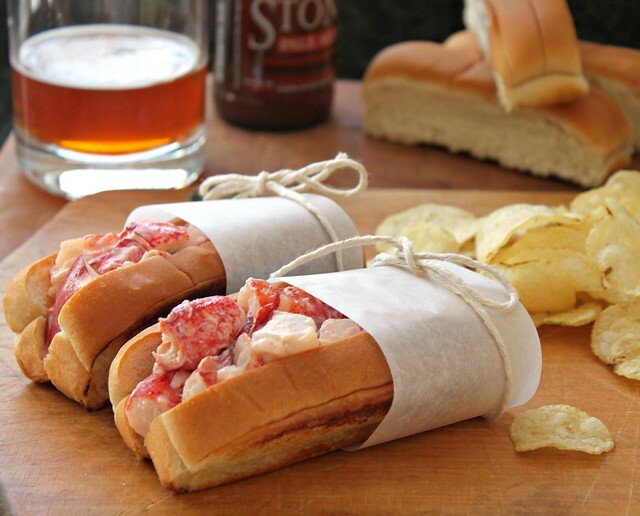 I am keeping this recipe as i wait for a real lobster sale in the market! Great post! Watch out...I could kill for one of those! But how do you find lobster for that price? That is just sensationsl. I love lobster but it is quite expensive here in Greece so i don't get the chance to make it very often! These rolls look absolutely marvelous! This is a great recipe but it is missiing Old Bay seasoning. Can't have a real lobster roll without that! This looks great! what caught my eye was the parchment wrappers you made for the rolls. How did you do this? I am looking to do something similar and would love some tips. It will be for spanish tortilla though. 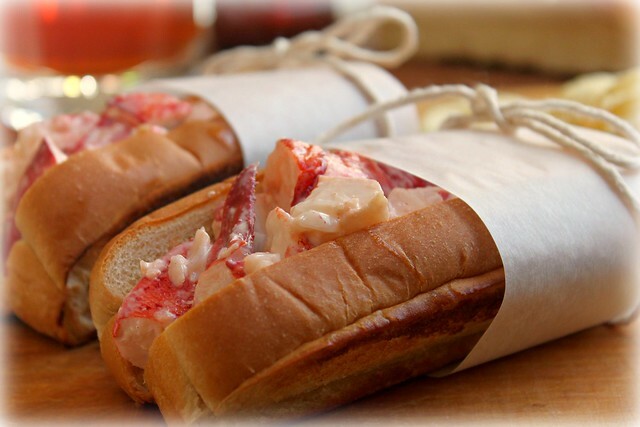 The Lobster rolls look so divine, absolutely delicious! Cheeseburger Empanadas ~ Baked or Fried!